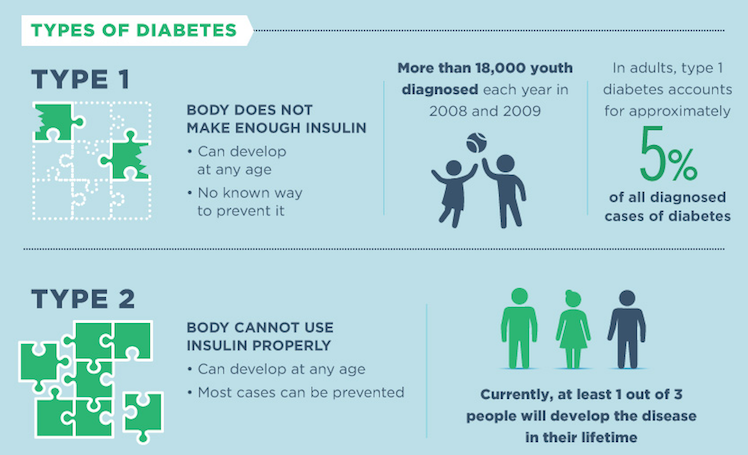 Diabetes is not a new disorder in our world. It’s very common in our country and hardly there is a family which is not affected by this lifestyle disease. 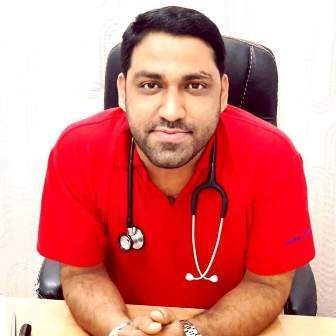 Diabetes mellitus (DM), commonly referred to as diabetes, is a group of metabolic disorders in which there are high blood sugar levels over a prolonged period. It occurs either due to the pancreas not producing enough insulin or the cells of the body not responding properly to the insulin produced. 1. Type I: Type 1 DM results from the pancreas’s failure to produce enough insulin. This form was previously referred to as “insulin-dependent diabetes mellitus” (IDDM) or “juvenile diabetes” The cause is unknown. 2. Type II: Type 2 DM begins with insulin resistance, a condition in which cells fail to respond to insulin properly. As the disease progresses a lack of insulin may also develop. This form was previously referred to as “non insulin-dependent diabetes mellitus” (NIDDM) or “adult-onset diabetes”. The most common cause is excessive body weight and insufficient exercise. 3. Gestational: Gestational diabetes is the third main form, and occurs when pregnant women without a previous history of diabetes develop high blood sugar levels and usually disappear after the birth of the baby. The following symptoms of this disease are typical. However, some people with type 2 diabetes have symptoms so mild that they go unnoticed. 8. Tingling, pain, or numbness in the hands/feet (type 2). Early detection and treatment can decrease the risk of developing its complications. There are several ways to diagnose diabetes. Each way usually needs to be repeated to confirm the diagnosis. 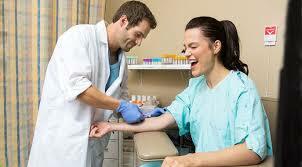 Testing should be carried out in a health care setting under a doctor’s guidance (such as in a healthcare or a lab). If your doctor determines that your blood glucose level is very high, or if you have classic symptoms of high blood glucose in addition to one positive test, your doctor may not require a second test to diagnose it. This test is a blood check at any time of the day when you have severe diabetes symptoms. It is diagnosed at blood glucose of greater than or equal to 200 mg/dl. This test checks your fasting blood glucose levels. Fasting means after not having anything to eat or drink (except water) for at least 8-10 hours before the test. This test is usually done first thing in the morning, before breakfast. 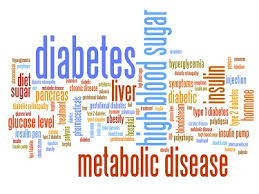 Doctors sometimes refer to prediabetes as impaired glucose tolerance (IGT) or impaired fasting glucose (IFG), depending on what test was used when it was detected. This condition puts you at a higher risk for developing type 2 diabetes and cardiovascular disease. There are no clear symptoms of prediabetes, so, you may have it and not know it. Some people with prediabetes may have some of the symptoms of diabetes or even problems from it already. You usually find out that you have prediabetes when being tested for diabetes. If you have prediabetes, you should be checked for the type 2 disease once in every one to two years. You will not develop type 2 automatically if you have prediabetes. For some people with prediabetes, early treatment can actually return blood glucose levels to the normal range. 1. Losing 7% of your body weight (or 15 pounds if you weigh 200 pounds). Gestational diabetes mellitus (GDM) resembles type 2 DM in several respects, involving a combination of relatively inadequate insulin secretion and responsiveness. It occurs in about 2–10% of all pregnancies and may improve or disappear after delivery. However, after pregnancy approximately 5–10% of women with gestational diabetes are found to have diabetes mellitus, most commonly type 2. Gestational diabetes is fully treatable, but requires careful medical supervision throughout the pregnancy. Management may include dietary changes, blood glucose monitoring, and in some cases, insulin may be required. There is no known preventive measure for type 1 diabetes. Type 2 – which accounts for 85–90% of all cases – can often be prevented or delayed by maintaining a normal body weight, engaging in physical activity, and consuming a healthy diet. Higher levels of physical activity (more than 90 minutes per day) reduce the risk of diabetes by 28%. Dietary changes known to be effective in helping to prevent this disease include maintaining a diet rich in whole grains and fiber, and choosing good fats, such as the polyunsaturated fats found in nuts, vegetable oils, and fish. Limiting sugary beverages and eating less red meat and other sources of saturated fat can also help prevent this lifestyle disease. Tobacco smoking is also associated with an increased risk of diabetes and its complications, so smoking cessation can be an important preventive measure as well. Diabetes mellitus is a chronic disease, for which there is no known cure except in very specific situations. Management concentrates on keeping blood sugar levels as close to normal, without causing low blood sugar. This can usually be accomplished with a healthy diet, exercise, weight loss, and use of appropriate medications (insulin in the case of type 1; oral medications, as well as possibly insulin, in type 2). The goal of treatment is an HbA1C level of 6.5%, but should not be lower than that, and may be set higher. Attention is also paid to other health problems that may accelerate the negative effects of diabetes. These include smoking, elevated cholesterol levels, obesity, high blood pressure, and lack of regular exercise. Specialized footwear is widely used to reduce the risk of ulceration, or re-ulceration, in at-risk diabetic feet. Evidence for the efficacy of this remains equivocal, however. There is no single dietary pattern that is best for all people with diabetes. For overweight people with type 2, any diet that the person will adhere to and achieve weight loss is effective. Medications used to treat diabetes do so by lowering blood sugar levels. There are a number of different classes of anti-diabetic medications. Type 1 can only be treated with insulin, typically with a combination of regular and NPH insulin, or synthetic insulin analogs. Many are able to maintain normal blood sugar levels with little or no medications following surgery and long-term mortality is decreased. There is, however, a short-term mortality risk of less than 1% from the surgery. The body mass index cutoffs for when surgery is appropriate are not yet clear. It is recommended that this option be considered in those who are unable to get both their weight and blood sugar under control. What is most important is support. A patient affected by diabetes needs full support from family. Not only physically but also psychologically.